Extended Gelfand Correspondence Program in Mathematics (E-GCPM) is modeled on GCPM (the Gelfand Correspondence Program in Mathematics). E-GCPM is an enrichment program in mathematics for junior high and high school students. E-GCPM allows students to study at home and get personal attention from a qualified mentor. discover that math can be easy and interesting. These skills learned and mastered at E-GCPM will be useful for students in their future career, far beyond math and science. This program is for students who want to have a better understanding of mathematics and to enjoy it. What is special about E-GCPM? The program is based on I. Gelfand’s philosophy that like literature, music and art, mathematics is part of the human culture. One can read what I. Gelfand said about mathematics in his Talk at the Conference “Unity of Mathematics”, see http://www.israelmgelfand.com/talks/unity_math.html. The program uses unique teaching materials (Assignments and books) written by Prof. I. Gelfand with his collaborators specifically for students of the correspondence program which he developed and organized in Russia and in the US. In Russia, the famous Moscow Correspondence School (ZMSH), organized in 1964, successfully taught tens of thousands of students and at present time continues to expand. 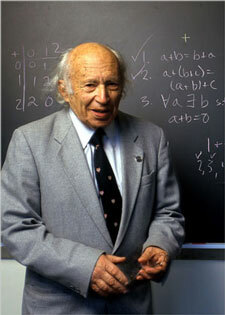 In the US, Prof. Gelfand organized GCPM at Rutgers University, N.J. in 1991. In the future we are planning to update some of the existing GCPM Assignments to be better suited for our current students. We also intend to develop and include in E-GCPM some new materials which were outlined by I. Gelfand together with Tatiana V. Gelfand but have not yet been prepared for publication. E-GCPM is tailored to the individual student - students are encouraged to work at a pace that is most natural for their own progress. Each student receives individual feedback, helpful suggestions and encouragement from a personal mentor. The mentor will be able to pay attention to the student’s individual needs, level and preferred learning style. Students of ages 13-17 are invited to apply to E-GCPM at any time during the year. Our main requirement is a student’s willingness to participate. For each level there is a fee which covers assignments and grading of a student’s work. Students can view and solve problems from the Introductory Assignment which can be found at http://gcpm.rutgers.edu/problems.html. After a student registers, we send him or her the first Assignment along with the books: Functions and Graphs, Method of Coordinate, Algebra, Trigonometry, and possibly Geometry (it is in preparation at Springer publishing company). All these books were written by I.Gelfand with his colleagues. Students also receive the booklet of solutions to the Introductory Assignment. Students work on the first Assignment, solve problems at their own pace, write their solutions, and mail them back to us. E-GCPM mentors will read students’ work and respond with individual comments and suggestions. Then students receive the next Assignment. Assignments are organized in three Levels. All of them might take from 2-4 years to complete. Upon completion of each level, a student will receive an E-GCPM certificate. This might be useful when applying to college. E-GCPM is directed by Tatiana V. Gelfand, who helped Prof. I. Gelfand found GCPM at Rutgers University 1991. Together with Prof. I. Gelfand, she developed the GCPM Assignments and also co-authored with him the book, Geometry. Tatiana V.Gelfand developed also promotional materials and managed various other aspects of GCPM. First of all, solve the Introductory Assignment which can be found at http://gcpm.rutgers.edu/problems.html. We want to see how you solve the problems from it. To enroll in E-GCPM you will need to mail to us your solutions, a filled registration form and a check. Currently we offer a special enrollment fee of $400 for the Level I, same as was in GCPM many years ago. The fee covers six Assignments of Level I and grading of the student's work. We will also send you the four books used in the program (see the description of E-GCPM) and the Answer Booklet (23 pages) for the Introductory Assignment written by Prof. Israel Gelfand and Prof. Larry Corwin. One level usually takes about a year to complete. We are inviting everyone to pass the information about the E-GCPM re-opening to interested students.